Women in 19th-century New Brunswick were socially active, politically engaged and cosmopolitan in mindset. These are a few of the captivating themes explored by Dr. Gail Campbell in her award-winning book, ‘I wish to keep a record’: Nineteenth-Century New Brunswick Women Diarists and Their World. 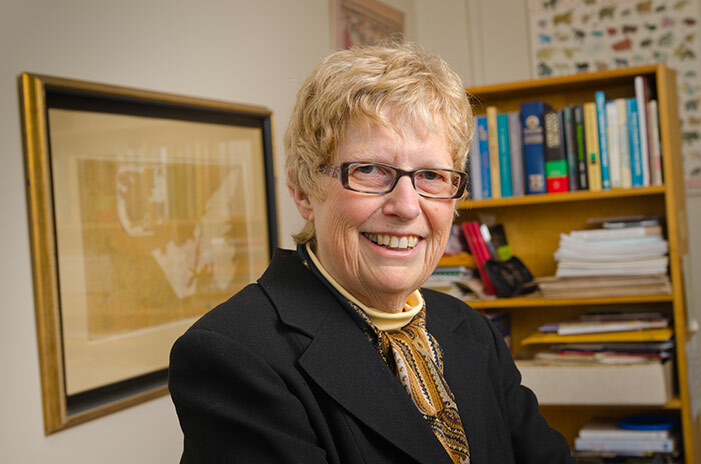 Dr. Campbell, professor emerita in history at the University of New Brunswick, has been awarded the Canadian Committee on Women’s History Prize for the Best Book on Women’s and Gender History. The prize, which is awarded once every two years, recognizes the best book published in the field in English or French in 2016 and 2017. ‘I wish to keep a record’ builds on Dr. Campbell’s four decades of work as a historical demographer. Her analysis reveals the world of 19th-century anglophone, Protestant women in New Brunswick in their own words, as recorded by 28 diarists. The diaries bring to life women who were active in shaping societal norms and values and knowledgeable about and engaged in politics. They also demonstrate that, contrary to what we might expect, these women did not feel undervalued. This confidence included a cosmopolitan worldview, where women were positioned in networks extending beyond local geographic boundaries into the broader society and wider world. As Dr. Campbell’s analysis demonstrates, the wider Maritime economy provided New Brunswick women with advantages not available to other women of their time and introduced a cosmopolitanism that set them apart from women in Ontario and Western Canada. Yet the women were firmly planted in this place. Their diary entries offer unique and valuable insights into the distinct character of New Brunswick at that time. The Canadian Committee on Women’s History is a national organization of women’s historians, and an affiliate of the national professional organization for historians – the Canadian Historical Association. ‘I wish to keep a record’: Nineteenth-Century New Brunswick Women Diarists and Their World does not include sources from women of colour or francophone, Roman Catholic and Indigenous women, as comparable sources are not available.